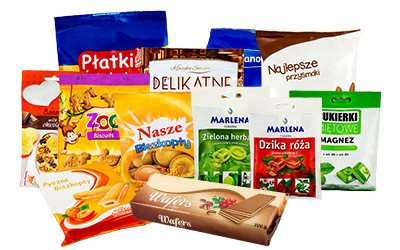 Flat bags are ideal for food packaging food, small parts, cookies and lots of different products. Thanks to the possibility of personalizing our products such packages can be a great advertising space. We provide flexographic printing up to 10 colors, which makes bags look much more appealing to the eye. 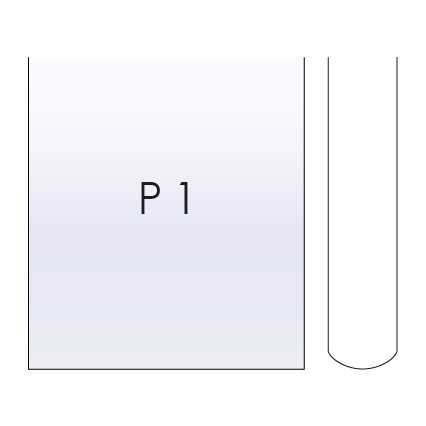 P1 – Plastic film bag with side seal. P2 – Side-sealed plastic film bag with a flap without adhesive. P3 – Side-sealed plastic film bag with a flap with adhesive. 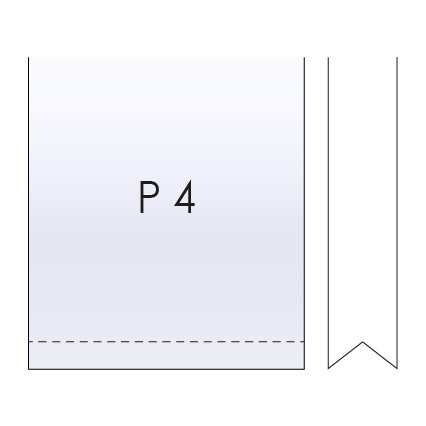 P4 – Side-sealed plastic film bag with a bottom fold. 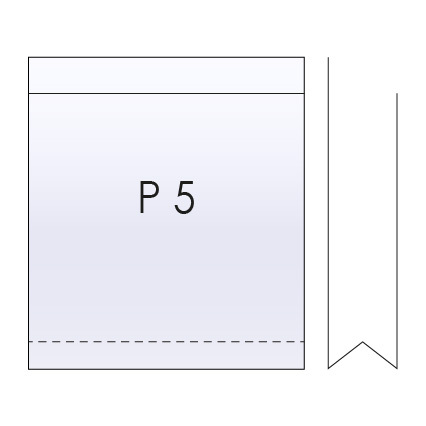 P5 – Side-sealed plastic film bag with a bottom fold and a flap without adhesive. P6 – Side-sealed plastic film bag with a bottom fold and a flap with adhesive. P7 – Side-sealed plastic film bag with vent holes. P8 – Side-sealed plastic film bag with a flap without adhesive and vent holes. 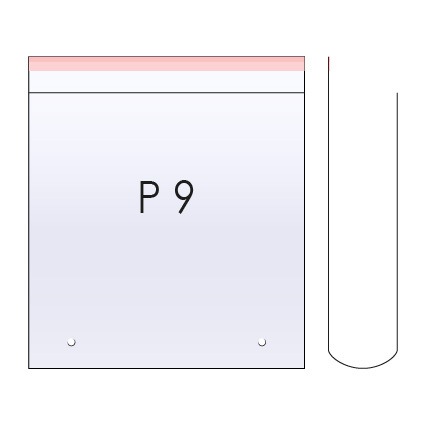 P9 – Side-sealed plastic film bag with a flap with adhesive and vent holes. P10 – Plastic film bag with a strengthened side seal and an euro hole, without closure. P11 – Side-sealed plastic film bag with a strengthened euro hole and a flap without adhesive. 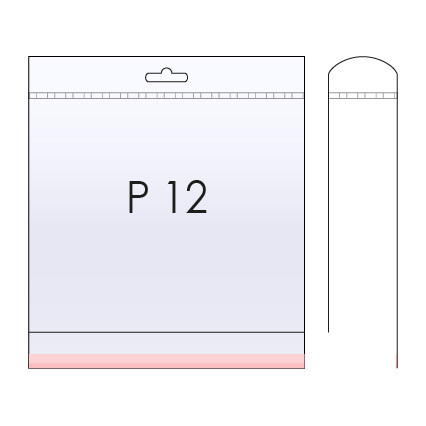 P12 – Side-sealed plastic film bag with a strengthened euro hole and a flap with adhesive. P13 – Side-sealed plastic film bag with a hole for packaging machines. P14 – Side-sealed plastic film bag with a bottom fold and a hole for packaging machines. 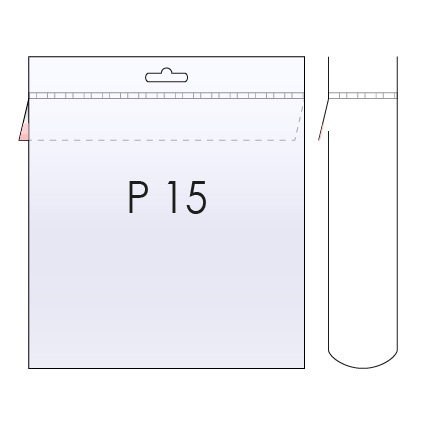 P15 – Side-sealed plastic film bag with a strengthened euro hole and a rear flap with adhesive. 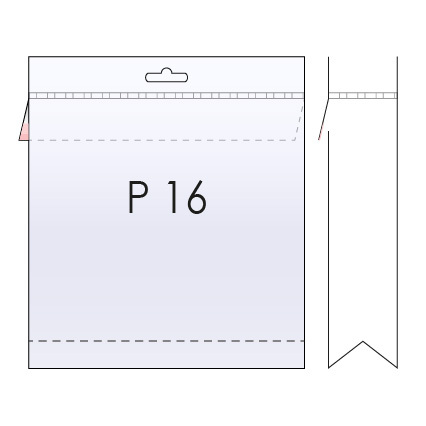 P16 – Side-sealed plastic film bag with a strengthened euro hole, bottom fold and a rear flap with adhesive.